Whatever we do, we should do it to the glory of God. Parents and guardians, please be sure that you and your children are aware of these standards of dress, and are compliant. Know that they are based on a desire to honor the Lord and to prefer one another in Christian love. The nurseries (ages 0-2 years old) depend primarily on the parents and others attending the CFC. The nurseries are during both morning and evening sessions. If you have children this age you may be called upon to help with a maximum of 2 sessions during the week. Additionally it would be of great help to have individuals volunteer to serve everyday, in either the morning or evening time, in one of the nurseries to provide continuity for the children. This schedule will be worked out prior to your arrival at the campus. Others without nursery age children that can help are asked to indicate this on your registration form. There will be specific instructions concerning your nursery responsibilities at Registration when you arrive. If you are able to help more than twice or are unable to help, please indicate this in Special Information on the back of your registration form so that those scheduling the nurseries plan accordingly. There will be no provision for nursery age children during the afternoon fellowship times. There will be nurseries and classes for children through eighth grade during all the ministries. The children's classes will focus on the life of David. Special Note to parents: Longwood University is located in a small town with a small shopping area across the street and other attractions within easy walking distance from the dormitory. Children ages 14 and under must be accompanied by an adult, group leader or chaperone during the conference. Teens will also meet as a group for morning prayer (see Schedule for time). The teens will have their own morning ministry. During the fellowship time in the afternoon, the teens will have their own group fellowship. Teens should sit with their families during worship and remain with their parents or guardians during the evening ministry. The university is providing access to a number of recreational facilities including soccer fields, beach volleyball courts, tennis courts, racquetball courts, swimming pool and more. These facilities will be available during afternoon recreation time. The university does not provide equipment, balls, racquets, etc. for these facilities, so please bring personal recreation equipment if you desire to use the facilities. There is an additional recreation center available for those over 18 years of age that includes a track, weight room and other facilities. The recreation center will be closed on July 4th. Brothers and sisters will be asked to share around the morning and evening ministry with the emphasis on what the Lord has revealed to them at the conference. These groups will be small so that all will have the opportunity to share. We believe that our fellowship times are in many ways as important as the ministry and therefore we encourage all to attend and participate in these times. The conference bookstore will be located in a location to be announced later. The times will be posted in the handbook that you will receive when you check in. Books will be available for purchase at near-cost prices. 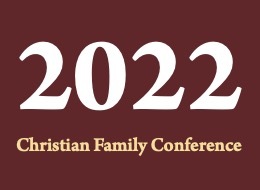 Please notify Conference Registration, at registration@christianfamilyconference.org as soon as you know that you will be arriving prior to Sunday, June 30th, or remaining after Friday, July 5th. By knowing in advance we can be sure your room is prepared and that there will be adequate food available in the dining hall. IMPORTANT NOTE ON TRANSPORTATION: Due to the complexity of trying to accommodate as many Saints as we can and the limited number of drivers and vehicles, we have to adhere to SCHEDULED van transport to and from the Conference. Thank you for your understanding. IMPORTANT NOTE: Scheduled return flights Friday at least 3 hours after the van is scheduled to leave Longwood i.e. the earliest return flight will commence at 2:00 p.m.
For those travelers NOT using the scheduled van service, the University recommends Airport limousine service. http://www.groometransportation.com/ (800) 552-7911 (As of February 2013 the airport to Farmville price is $170). Rental cars are available at the airport which can be used for private transportation if that better accommodates your plane and travel schedule situation. IMPORTANT NOTE: Those travelers arriving after the scheduled vans on 6/29 and 6/30, or leaving the Conference before the scheduled vans on Friday, 7/5, will need to arrange their own transportation to & from the Longwood University.